The United Show Tippler Club was founded in 1891as the 'United Tippler Club'. 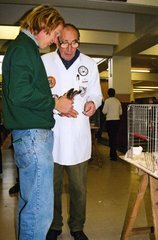 It is one of the oldest of the British pigeon breed clubs in existence. the Club is once more up and running. in the breed and the club. of the English Show Tippler as a pure breed. for far too long, been regarded as a 'difficult' breed. the genetics of the breed hasbeen misunderstood. breeding a good one is never going to be easy!! 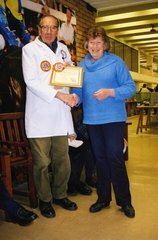 and was awarded a 'Master Breeder Certificate' by the NPA. 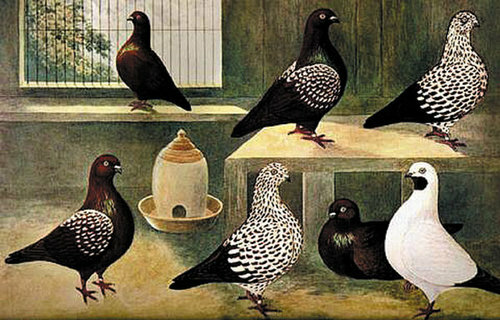 have been widely crossed with other breeds and are very different to the British stock. At the 2012 European Show in Leipzig there were just two English Show Tipplers! We need to ensure that the English Show Tippler continues to survive in its purest form. we really would like to hear from you! and must be disqualified from competition. The four varieties of the English Show Tippler as depicted in 1912.